The single use paper and plastics industry is one of the most wasteful parts of the consumer landscape and no brand has taken the lead in offering consumers at-home solutions to their disposable needs. Repurpose has created a line that performs as well or better than existing paper and plastic products on the market and offered them at an affordable price so consumers have to make no sacrifice in making the switch. Repurpose has secured national distribution and is currently sold across the country in over 3500 retailers including Safeway, Vons, Pavilions, Whole Foods, and Albertsons. Repurpose insluated hot cup and heat resistant cutlery are unique offerings in the market. Repurpose has raised over 3 million dollars in equity and debt. 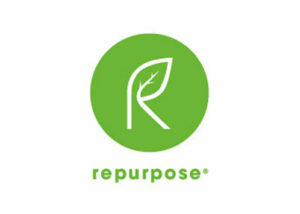 Repurpose has been endorsed by Oprah, Adrian Grenier, Sheryl Crow and many others. Repurpose has been written about in Forbes, Fast Company, Vogue, US Weekly, Shape, Everyday With Rachel Ray and other publications.